KARAKHAS: a nation in N Sammaea that is built on the ruin of many previous people. It loosely emerged from the ruin of the Fourth Age civilisation of Ellora, which dominated what is now southern Jurras and northern Khuraur and Karakhas. 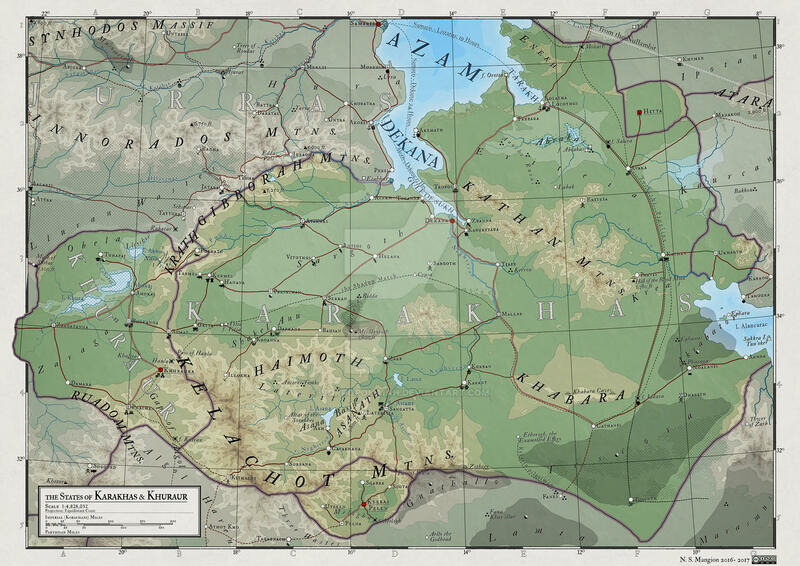 To the west of the Kathan mountains are the crumbled remnants of the Karthan empire. To the south-east are remnants of the last keratin nation of Fanes. To its south is the tainted region of the Umbra Solare, preventing spread south. It was discovered by Korachani explorers in c. 30 RM, when the region was dominated by dozens of blood-cults that shared a common heritage though saw each other as rivals. Cultural and political unease was rife in the region at the time. This lack of cohesion is what allowed Korachan to so easily penetrate the region. Imperial immigrants had integrated themselves with the natives by 70 RM, with Korachan becoming its true ruler in 121 RM,after a 4-year war. Water was used as a means of control in these years, forcing the subjugated people to co-operate. 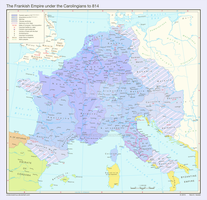 Due to its distance from the central empire and the great many resources needed to control its populace, heathen practices remained common there, as did the rural and some might say barbaric lifestyles of the natives, whose worship of the god Khar’illæ remains widespread to this day (where it survives in a corrupted form as an imperial saint) with their Vaticinator leaders still common. Blood crusades, originally a religious hunt for sacrifices, became an excuse to capture Pariayan slaves under Korachani leadership. Under imperial rule, Karakhas served as a stepping-stone of sorts. It was the closest Korachani nation to the deserts of Kharkharadontis, and as such, many Atr. and technaracane organisations maintained chapters and sects there from which they could more closely examine the effects of the Atramenta on Elyden (for instance, the exploration of the Umbra Solare and the subjugation of the natives of the Algol Haren region). Karakhas also became a link between Korachan and its later colony of Noavatur in the far S Sammaean continent, with a long dangerous route established that winded its way over 2,750-miles across the Umbra Solare, linking the two together. It was through this route that much of the Umbra Solare was explored, at a great cost. Despite this link that Karakhas served, it was always plagued by inner-turmoil. Its people were passionate by nature and their acceptance of the Korachani rule was never placid. Unrest was common and the first millennia of imperial rule there was characterised by brief, if intense, bouts of conflict, often erupting into full-fledged civil strife. 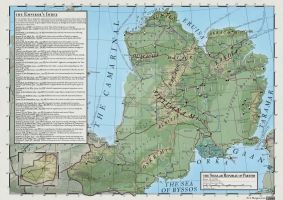 This culminated in 1248 RM with a large uprising centred around the region of Lateritia, which left the entire area devastated hounded by marauders that emerged from the wars. Over the centuries these marauders coalesced as three distinct barbarian groups that continue to roam between settled areas in Karakhas; in the basin of Lateritia, the volcanic plains of Sargoth and the plains of Eriteia. Known respectively as the Lateritians, and Sargothi and the Eritei, these marauders, while far from numerous, continued to worship Kharl’illæ as a deity and opposed the imperial rule of their nation, disrupting trade and causing chaos. Were it not for the vast mineral wealth of the region it is likely that Korachan would have abandoned the region in this time. Their lack of centralized leadership and their guerrilla-like tactics made them difficult for imperial forces to oppose and they remained a thorn in its side until its demise following the Sundering of the Shadow. 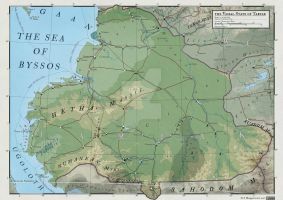 Unrest returned to Karakahas during the War of the Artifexes, which saw the nation of Almagest splinter from the Korachani empire and become a Republic, where the marauder tribes and their fundamentalist supports once-again caused havoc in the region, destabilizing the Korachani leadership there. 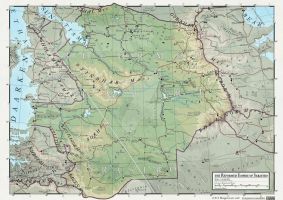 The motherland was too busy with the was in the north to be able to spare resources in Karakhas and a fundamentalist group took control in 3012 RM, remaining in power until 3043 RM when the Korachani government was reinstated in the form of the Domnitors, which oversaw what remained of the region’s diamond mines. Despite this new leadership the region remained broken, starting with the defection of a regiment of Steel Legionnaires in 3103 RM, and culminating in the nation’s fracture in 3478 RM with the signing of the Covenant of Khuraur, which saw the western portion of the nation break away in a militarised state. 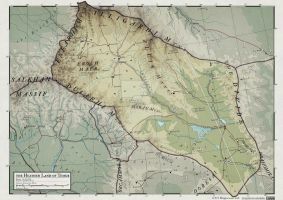 The Sundering of Korachan in 3705 RM saw Karakhas become an independent nation for two years before it was absorbed by Sarastroan occupiers, under whose control it remains to this day. 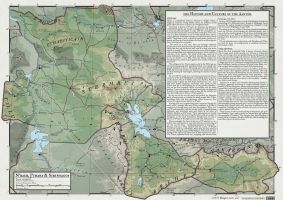 Nice map and I like the history that goes with it.